The weather in Florida is what my mom would call "Chamber of Commerce weather" : breezy, sunny and 70 degrees. It is the perfect temperature to sit outside and enjoy a meal and relax with friends. 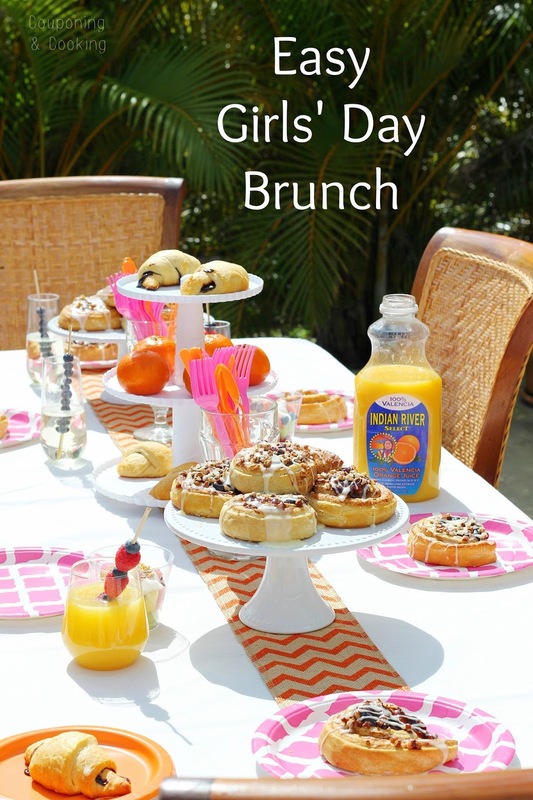 This past weekend I put together a fun and easy Girl's Day Brunch using a few easy breakfast ideas from Pepperidge Farms. 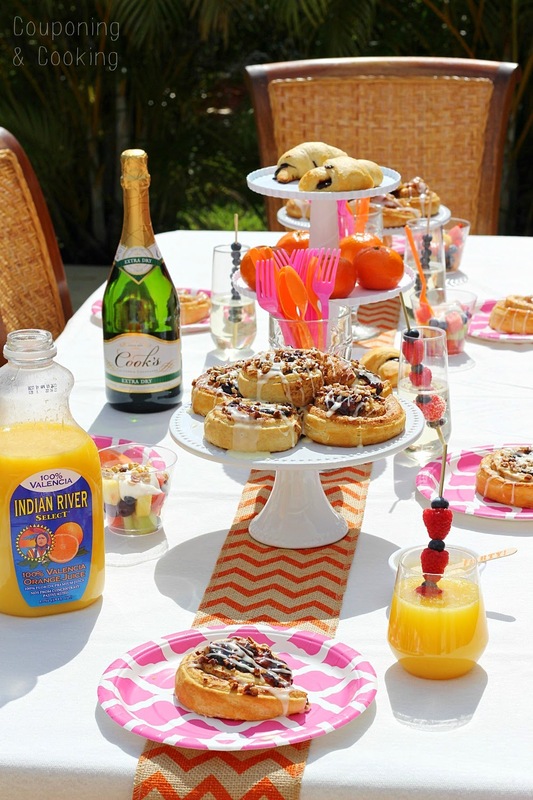 This was a brunch just for the girls so I kept it light. The men usually require heartier dishes like eggs, sausage and bacon but when it's just us ladies I keep it simple. 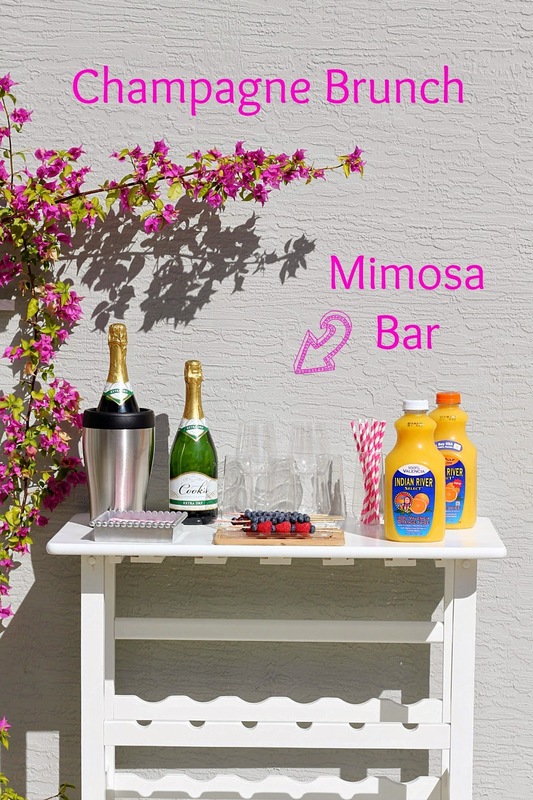 I had a Mimosa Bar with Florida Orange Juice, lots of sweet rolls and pastries as well as fresh fruit cups and Greek yogurt. 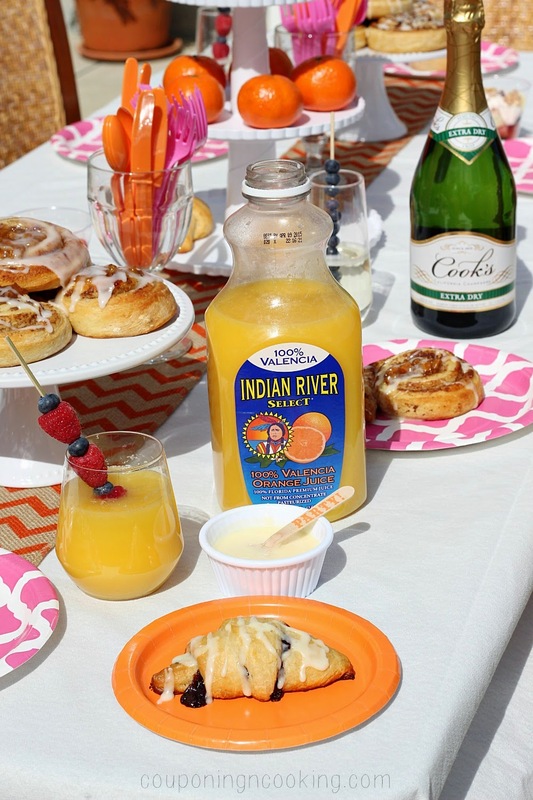 Everything was easy to make ahead or pop in the oven right before everyone showed up which left me plenty of time to set up an fun and bright tablescape on the back porch. 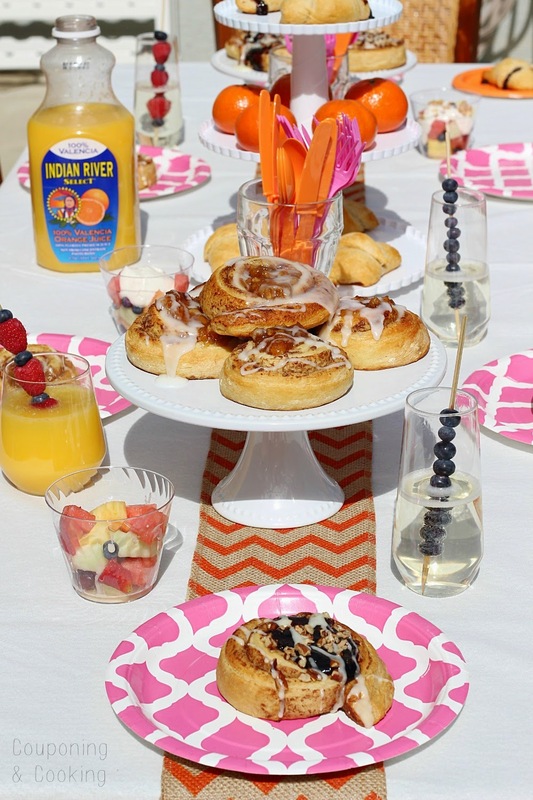 I went with hot pinks and oranges as my color scheme to match the OJ and keep things cheerful. I was inspired by plastic silverware display while I was food shopping at Walmart that had paired the pink and orange together and I just went with it. 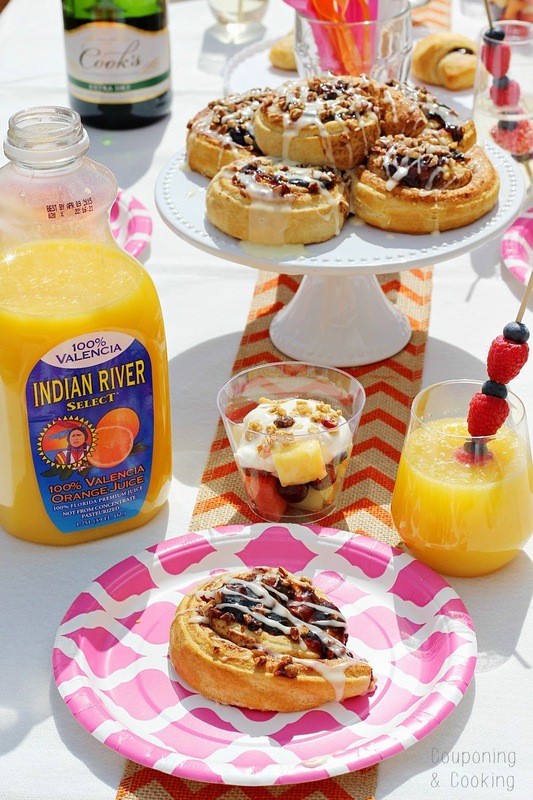 Believe it or not, every single part of the table (napkins, cups, plates, silverware, straws and tablecloth) were all purchased in Walmart's party section which made this set up not just fun but very affordable too. 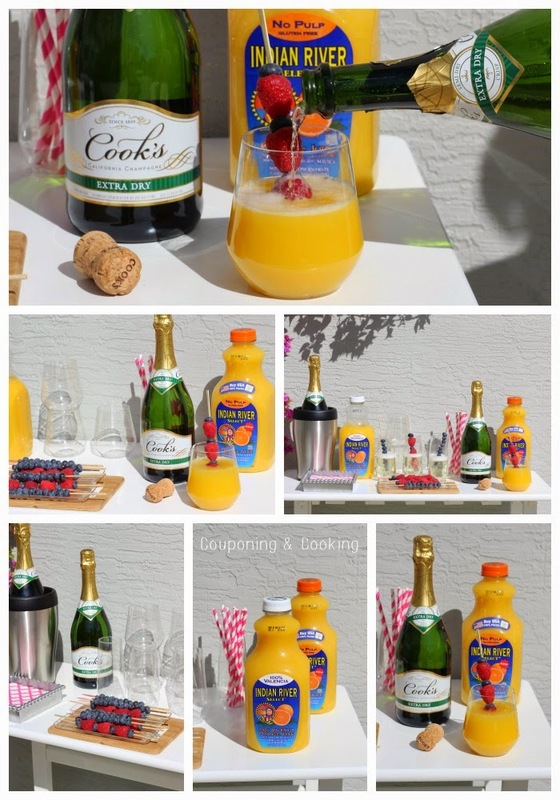 For my Mimosa Bar I used disposable plastic champagne and wine glasses. I wash and reuse them when I can but if they get dropped or thrown away it isn't the end of the world. I pre made some frozen fruit skewers using blueberries and raspberries which helped keep our drinks cold and were also an adorable garnish. 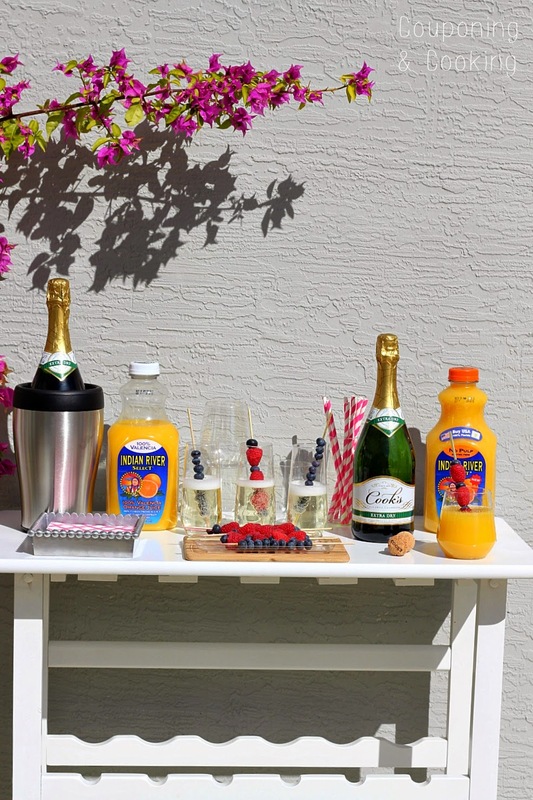 It was so nice to have everything all set up outside so we didn't have to keep going into the house to replenish our drinks. I prepared the sweet rolls and crescent rolls as the package described and made a little orange glaze to top them with. The glaze also went great on top of the fruit cups too. 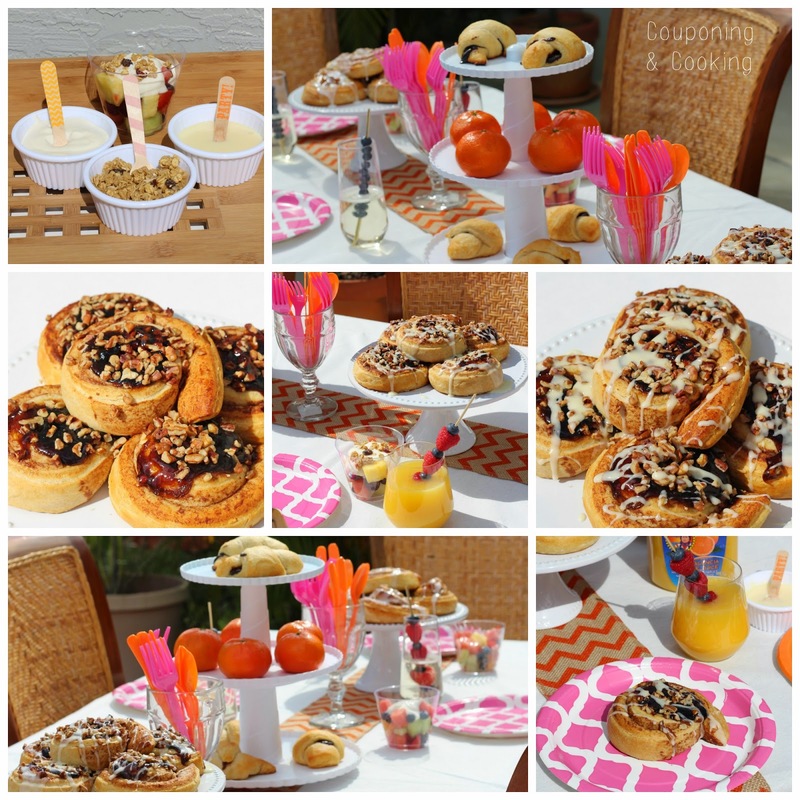 I set up little bowls of the glaze, greek yogurt and granola so that guests could top their fruit or make parfaits if they preferred. It was nice to let everyone customize things as they liked. 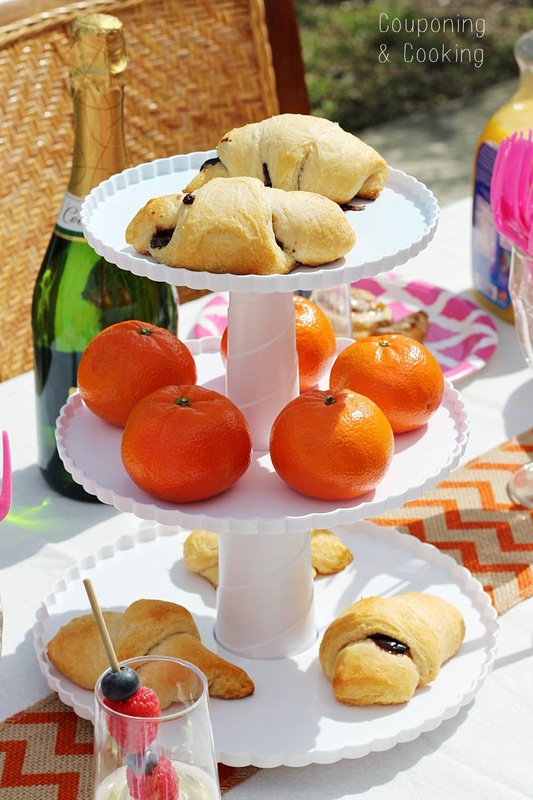 I stacked the sweet rolls on cake plates for easy access on the table and used a three tiered dessert stand for the crescent rolls. I added some baby mandarin oranges in my decorations to add a little more color and to go with the theme. I placed pink and orange plastic silverware in what my mom refers to as spooners (I think this term only applies if they are antiques right?) so that everyone could reach them. Everything was beyond amazing and I love how cheerful and fun everything turned out. I also love that I didn't actually have to "make" anything just back up the pastries and mix up the glaze. 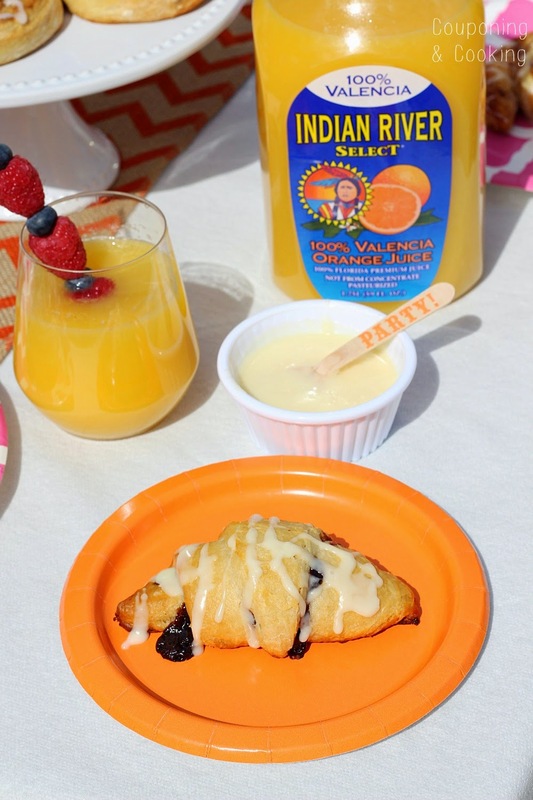 What is your favorite thing to serve at a girls' day brunch? Whisk together all the ingredients until smooth and then drizzle on warm pastries or serve table side in a small bowl. Be sure to store any leftovers in the fridge. Enjoy!